A 10-minute walk to the food truck rodeo. A 5-mile bike ride from your home to the office. An after-work run to get in better shape. A lunchtime ride to clear your head and de-stress. A chance to be more active and enjoy the outdoors. If anything I just mentioned appeals to you, then you’ll be happy to know that this fall the Research Triangle Park is formulating a Bike/Ped Plan to guide future investments in our active networks. There’s good momentum to build on here: our 20 miles of existing pedestrian trails, our upcoming development of Park Center as a walkable and bikeable community, and a growing movement across the Triangle region for more active lifestyles. 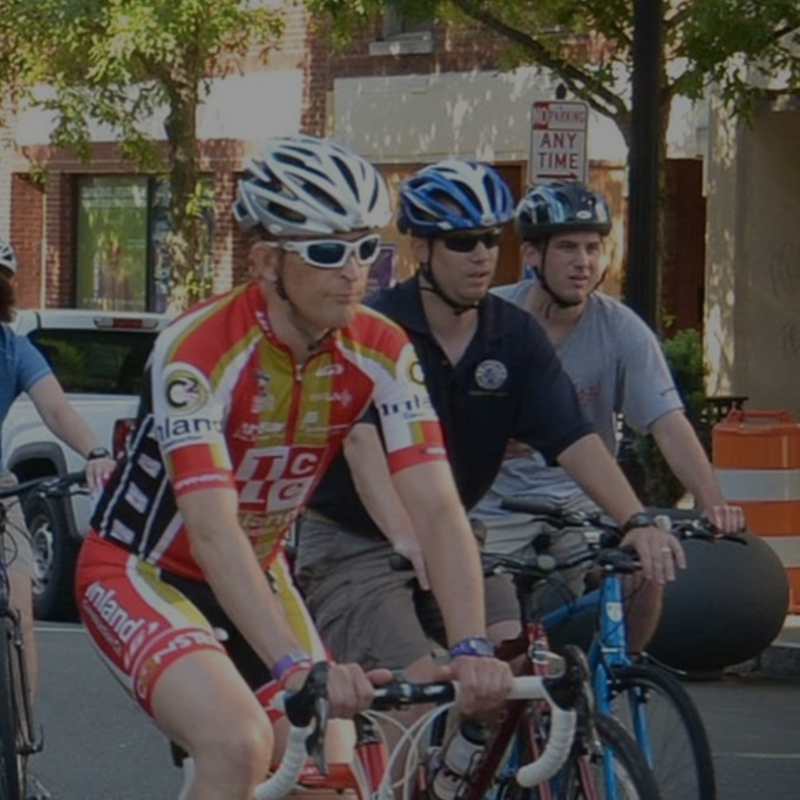 For those paying attention, you may have seen the RTP Bike Assessment we put out in 2014. Those findings will provide a starting point as we build the new Plan and determine the smartest investments in bike lanes, trails, and more. And what determines if a project is smart? The factors we’re taking into account include safety, mobility, fitness/recreation potential, and ease of implementation. But just as important: the needs and experiences of our RTP community. That’s where you come in. We need you to tell us where you ride a bike in RTP today, or would like to. What routes do you currently walk or have been meaning to try. And what are the road blocks, so to speak. Biking and walking aren’t for everyone, but we don’t want you to hold back because one intersection feels dangerous or one short stretch of trail is missing. Let your voice be heard. If you use (or want to use) the pedestrian and bicycle networks in the Park, then this is your Plan to help shape. There’s a big vision in the making here. Research Triangle Park has the chance to become a place where getting around on foot and by bike are easy, enjoyable, and safe. It may seem counterintuitive considering our many wide intersections and far-flung campuses. But the Park is continuing to expand in place and fill in the infrastructure to support that growth. At 8 miles long and 2 miles wide, distance is not so much of a challenge once the connections are strengthened. With your help, we can make this vision reality. How can you share your thoughts? There are several ways. First, fill out this survey on your overall observations on walking and biking in RTP. Then, show us on the map where you go or what to go, and what challenges get in your way. Also, talk to RTP staff about walking and biking at upcoming events. We’ll be tabling at several Happy Hours (starting this Thursday, Sept. 29) as well as the Bike-a-Bull City event in Durham. These public input opportunities will continue through mid-October. A Draft Projects Booklet will be released in November (offering another chance for you to weigh in). The Final Bike/Ped Plan will come out in December. We’ll then put recommendations into action beginning in 2017.